It's so nice to see all of you guys again, as i imagined, we didn't change much. Remember the time where we had BBQ? Remember that camp fire we made with three hours of hard work? Remember all the times we had together? So we came back today, back to the old place, which is Tammi's house, with almost the exact same people. We had hotpot this time, with card games and of course the 5v5 Garena Moba games together, like last time. We talked during dinner, we judge the teachers, the school, we laughed and had so much fun. "Bye~ see you next time when you're back :)" "O.f c.o.u.r.s.e." Yet I didn't change as well, I mean I didn't change at all on the outside. Nobody realised any change... because the inside of me, covered by thousands of layers of metal sheets, nobody saw it, including me. Sorry, I didn't change. America is not as fun as I imagined, not at all, particularly not when you are not sociable or cool enough, as they said. Yet I want to say, i did change, a lot, in the inside. I'm too tired and no longer can come up with jokes and keep myself optimistic, this world is sad, we are sad. I'm so happy to see all of you didn't change and kept your optimist and kept arguing over scores and jokes. I love it, I hope you guys are as well. I made lots of promises to the party, including something like singing, and particular to one person, to share my story. But when I saw you guys talking in the dining table, as I imagined, I don't know much things you guys are talking, about teachers and new classes, friends... Sorry, I couldn't keep my promises, I wish I can, and I wish I have the ability to do so. I love you guys, and it's nice to see you guys in happy moods. But yet things did change, no matter how, no matter what we do, time and distant pull us away. 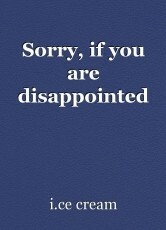 Sorry, if you are disappointed. That's all I could do, and we could all do. Kenny, you are still great in both academic stuff and relationships~ good job, keep it on and have fun, get good grades without study xD. Yim, nice to see you happily, nice to know that you still kept your optimist, your passions, you dream. It really mean a lot to me. Anson, you too, too good at school, at grades. Go find a girlfriend, you can easily find one. Enjoy this happiness, this optimist you still have. Chloe, things happens, to everyone. Nice to know that we all hate the world, jealous, sadness. Nice to find someone like you again, thank you. Lin, you didn't change as well, nice to know that, keep that optimist with you. Enjoy it now, see you next time. Soni, I never know you too much, but after this, I guess I can say, we are the same kind of person, we hate the world, we hate all the tragedies. I hope we are still great friends, I love you all. Maybe someday, we are still friends, or maybe someday, we separate and forget each other, but either way, we were together and we will be chasing our aims and dreams. I hope to see you happily. Thank you, and sorry, if you're disappointed. Maybe we can meet next time and do the things we missed together. © Copyright 2019 i.ce cream. All rights reserved. This page was created in 0.3003 seconds.